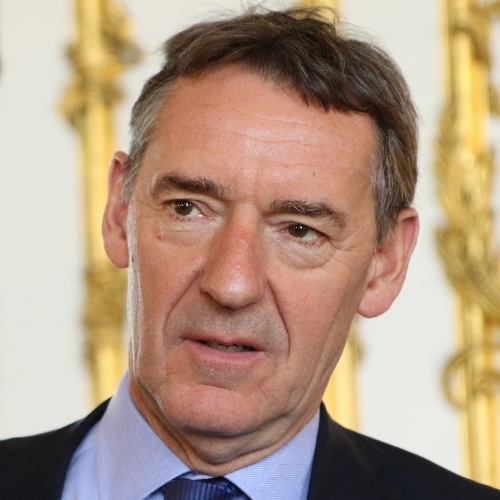 Book Jim O’Neill as a keynote speaker. Jim O’Neill is a world-renowned economist, perhaps best-known for creating the BRIC acronym, referring to emerging markets with high growth prospects. For more information on economics and finance speaker Jim O'Neill, contact VBQ Speakers founding agent Leo von Bülow-Quirk on leo@vbqspeakers.com or 0044 7833 727090. Jim worked for Goldman Sachs from 1995 to 2013, spending the majority of his time there as Chief Economist before being named Chairman of the Asset Management Division in 2010. This was a newly created position in which he managed over US$800 billion in assets. Jim O’Neill is a world-renowned economist, perhaps best-known for creating the BRIC acronym, referring to emerging markets with high growth prospects. Jim worked for Goldman Sachs from 1995 to 2013, spending the majority of his time there as Chief Economist before being named Chairman of the Asset Management Division in 2010. This was a newly created position in which he managed over US$800 billion in assets. Jim has also held public office, serving as Commercial Secretary to the UK Treasury from 2015 to 2016. In 2014, he chaired a formal review into AMR (antimicrobial resistance), reporting its final recommendations in 2016, as well as contributing to a high level agreement at the UN that year. He also chaired the Cities Growth Commission in the UK, whose final recommendations formed the impetus for the government’s policy on devolution as well as the concept of the "Northern Powerhouse". He is one of the founding trustees of the UK educational charity, SHINE, and following his move into government, became their lifetime President. Jim's perspectives on global economic growth - whether it be the BRIC and MINT nations or the UK after Brexit - are highly sought after the world over by policy-makers, investors and business leaders alike.